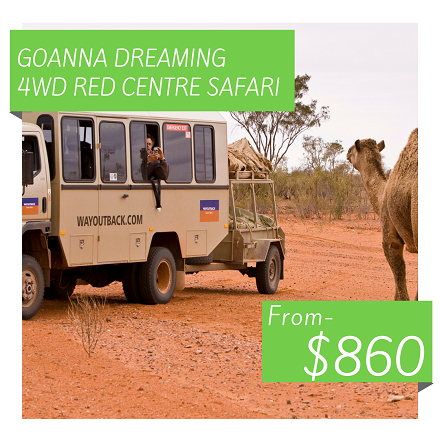 OVER THREE DAYS AND TWO NIGHTS TRAVEL BETWEEN DARWIN AND ALICE SPRINGS VISITING THE PEACEFUL WATER OF KATHERINE GORGE, THE MATARANKA THERMAL POOLS, THE HISTORIC DALY WATERS PUB AND THE PRECARIOUSLY BALANCED DEVILS MARBLES. 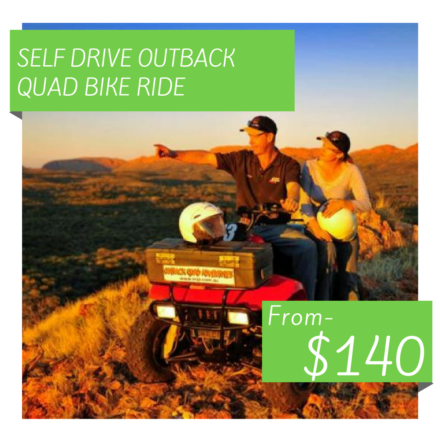 THIS ADVENTURE OFFERS A VALUE FOR MONEY TOP END EXPERIENCE VISITING KAKADU, INCLUDING TWIN & JIM JIM FALLS AND LITCHFIELD NATIONAL PARKS. UTILISING PRIVATE CAMPSITES WITH BASIC TENTS, THIS SAFARI IS PERFECTLY SUITED FOR THOSE LOOKING FOR A TOUR ON A BUDGET. 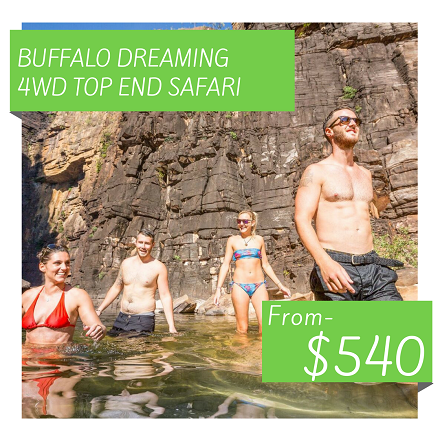 EXPERIENCE KAKADU AND LITCHFIELD IN COMFORT, TRAVELLING IN PURPOSE-BUILT FOUR-WHEEL-DRIVES AND SLEEPING IN PERMANENT TENTS WITH BEDS OR AIR-CONDITIONED LODGE ACCOMMODATION. EXPLORE TWIN & JIM JIM FALLS, 4WD ON ROCKY TRACKS, SWIM IN WATERFALLS AND SEARCH FOR CROCODILES ON A WILDLIFE CRUISE. 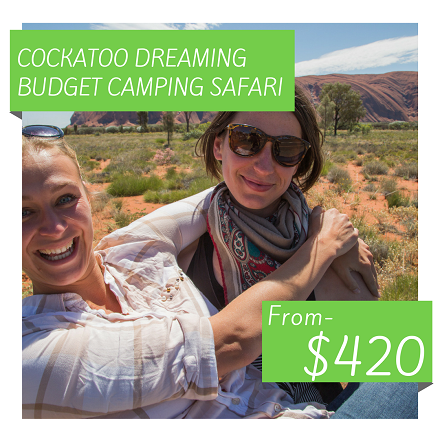 THIS OVERNIGHT ADVENTURE IS FOR THOSE SHORT ON TIME WHO WANT TO EXPLORE ULURU AND KATA TJUTA BY EITHER STARTING IN ALICE SPRINGS IN THE EARLY MORNING OR FLYING DIRECTLY INTO AYERS ROCK RESORT AT LUNCH TIME. 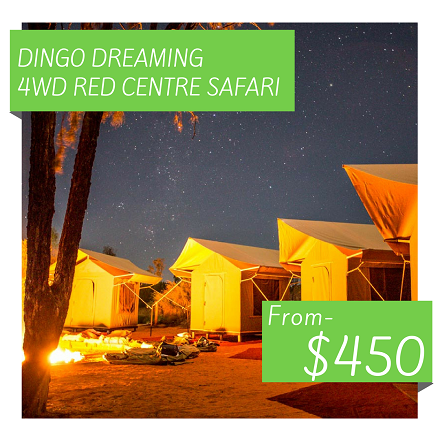 TRAVEL BY 4WD AND SPEND THE NIGHT IN OUR REMOTE CAMPSITE COMPLETE WITH SAFARI TENTS. THIS THREE-DAY ADVENTURE FEATURES PRIVATE CAMPSITES WHERE YOU CAN SLEEP UNDER THE STARS. TRAVEL IN A FUN GROUP AND ABSORB THE FASCINATING INFORMATION PROVIDED BY YOUR GUIDE. CAN ALSO START IN ULURU AT LUNCHTIME. 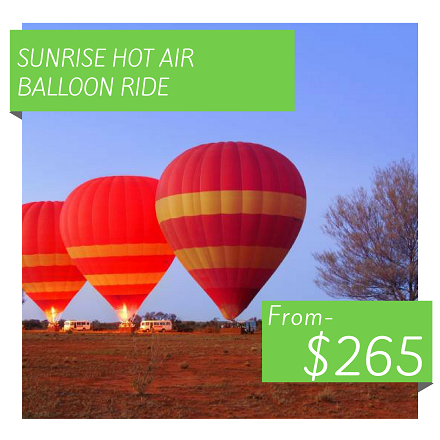 THERE IS A LOT TO SEE BETWEEN ALICE SPRINGS AND DARWIN ON THIS THREE-DAY ADVENTURE. 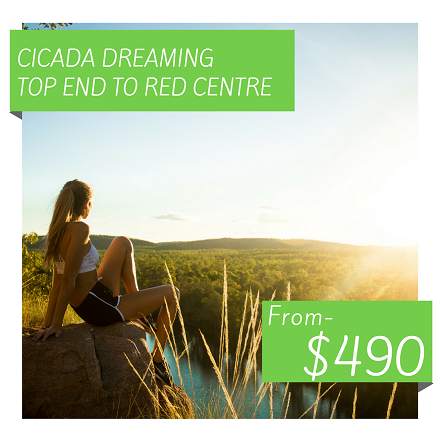 EXPLORE THE PRECARIOUSLY BALANCED DEVILS MARBLES, STOP FOR A COLD DRINK AT THE HISTORIC DALY WATERS PUB, SOAK IN THE MATARANKA THERMAL POOLS AND EXPLORE THE PEACEFUL WATER OF THE KATHERINE GORGE. 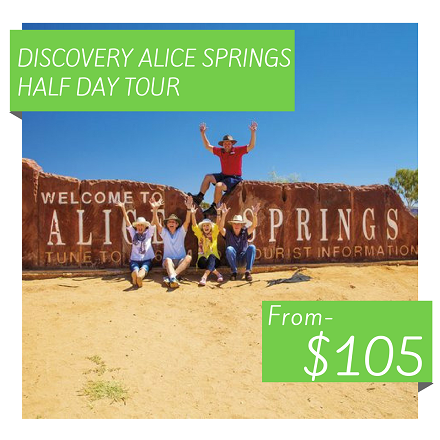 THIS AFTERNOON YOU''LL LEARN HOW THE TOWN OF ALICE SPRINGS HAS EVOLVED INTO THE CENTRAL HUB OF THE AUSTRALIAN OUTBACK. 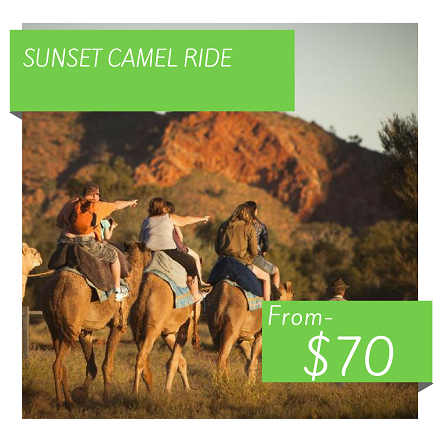 COME AND EXPERIENCE THE WORKINGS OF A TRUE OUTBACK CATTLE STATION WITH SENSATIONAL VIEWS OF THE MACDONNELL RANGES. 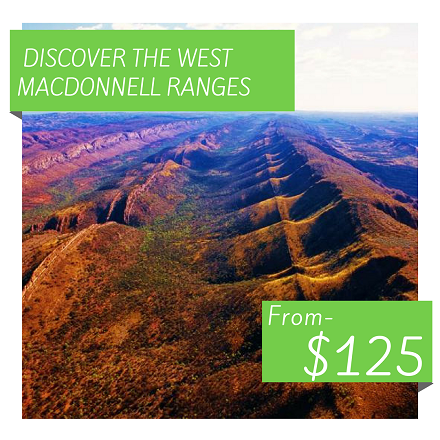 YOUR ADVENTURE BEGINS JUST AS THE SUN LIGHTS UP THE RUGGED MACDONNELL RANGES. 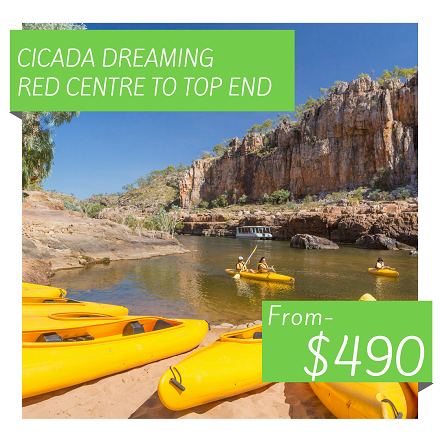 WHILE FLOATING GENTLY, YOU WILL APPRECIATE THE VAST REMOTENESS AND STARK SCENERY OF THE OUTBACK. AS YOU CROSS THE SPINIFEX GRASSES AND CATTLE STATION, KEEP A LOOK OUT FOR NATIVE WILDLIFE, PARTICULARLY BIG RED KANGAROOS. 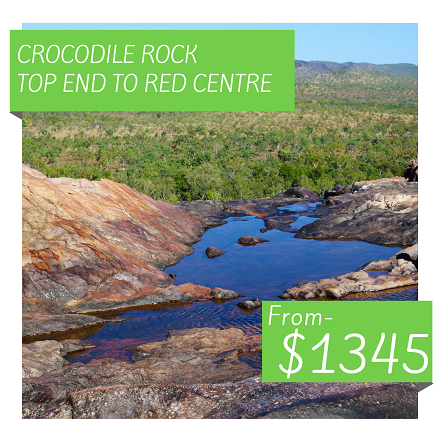 TVISIT THE NORTHERN TERRITORY FROM THE BOTTOM TO THE TOP! 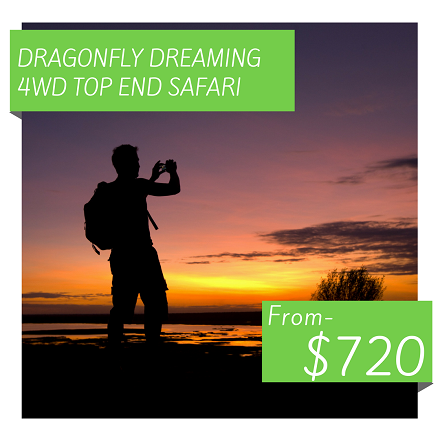 INCORPORATING 3 THREE-DAY SAFARIS PLUS THREE NIGHTS HOSTEL ACCOMMODATION, THIS PACKAGE OFFERS YOU THE BEST VALUE NT ESCAPE AROUND! 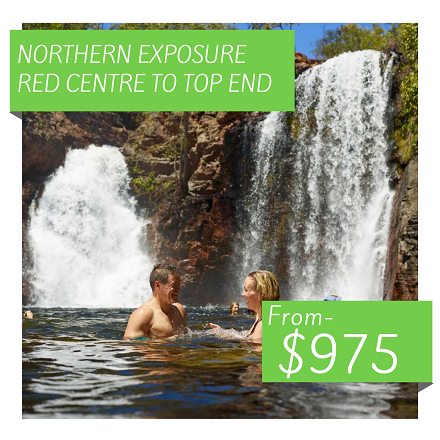 VISIT THE NORTHERN TERRITORY FROM THE TOP TO BOTTOM! INCORPORATING 3 THREE-DAY SAFARIS PLUS THREE NIGHTS HOSTEL ACCOMMODATION, THIS PACKAGE OFFERS YOU THE BEST VALUE NT ESCAPE AROUND! 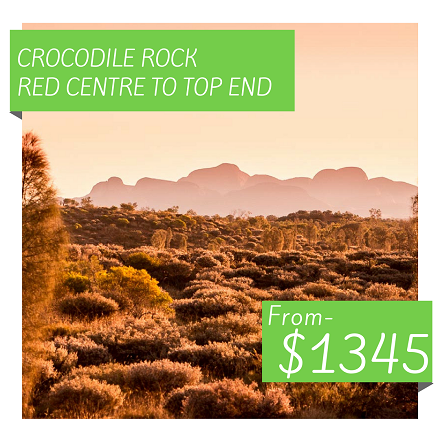 TRAVEL FROM ALICE SPRINGS TO DARWIN AND TAKE IN HIGHLIGHTS SUCH AS MATARANKA THERMAL POOLS, THE DEVIL'S MARBLES AND THE BEAUTIFUL KAKADU, LITCHFIELD AND KATHERINE GORGE (NITMILUK) NATIONAL PARKS.